Amateur Radio licences are now obtained by passing a progressive system of Foundation, Intermediate and Advanced levels of the Radio Communications Examination. Anyone entering the hobby must go through each stage before progressing to the next. Foundation and Intermediate levels include operating and practical assessments as well as theory. 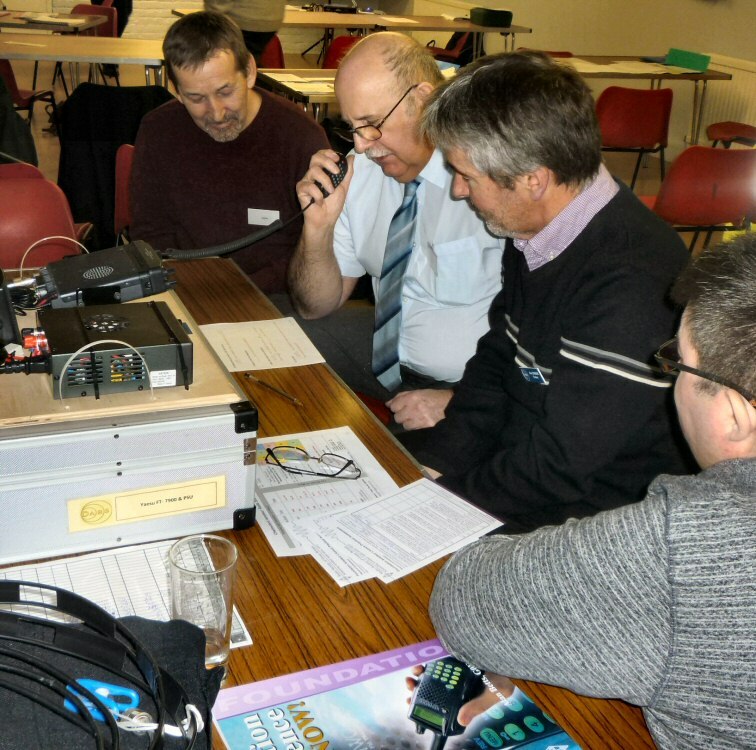 CARS offer a full range of amateur radio licence training courses, as well as separate pratical/exam sessions and Morse classes. Numbers: A full course may not run if confirmed numbers are below six per course. Peter Davies, M0PSD, is the CARS Training Manager. Those wishing to book a place should contact him by . . .
Get on the air with the entry-level Foundation Licence. 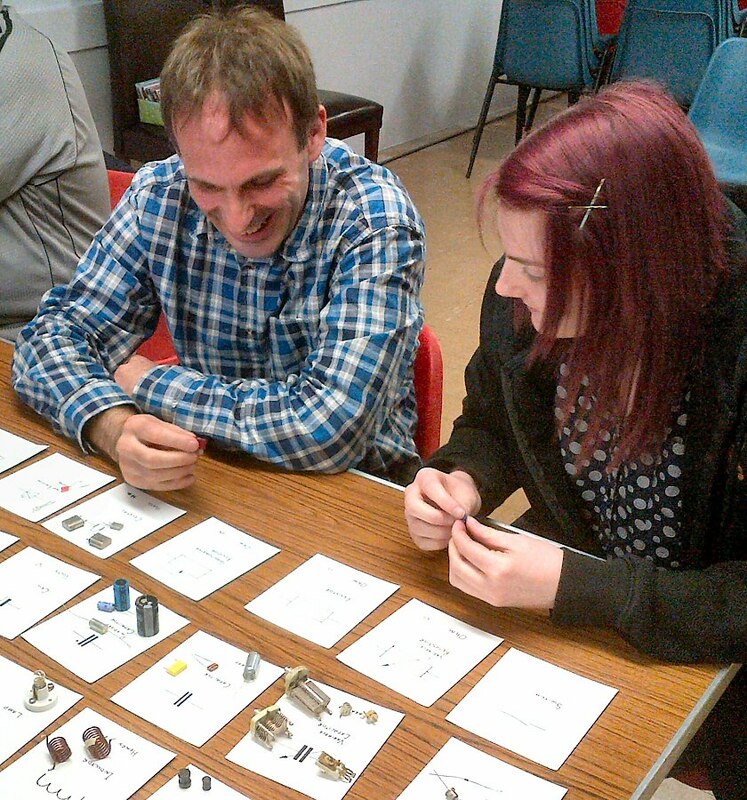 CARS runs Foundation Courses which are on Thursday evenings at 7-9pm at Danbury Village Hall. On successful completion of the Foundation Course the candidates will be able to apply for a Foundation Licence which allows the use of all modes on most of the Amateur bands with upto 10W power. The cost is £60 which includes room hire, the RSGB Exam Fee* and the 'Foundation Now!' manual. Please ensure you forward details of your full name, address, phone & mobile numbers and email address. The Intermediate Licence (permitting upto 50W on all bands) requires that you must first have passed the Foundation level. The Courses are held from 7-9pm on Thursday evenings at Danbury Village Hall. Note that we will need to know details of your Foundation callsign and exam pass date as well as your full name, address, phone & mobile numbers and email address. The cost includes room hire and project materials - but you are advised to have the appropriate course book as well. As time is limited, preparation beforehand is advised. Foundation: Prior knowledge of the phonetic alphabet is an advantage. Intermediate: Candidates should have an awareness of the Resistor Colour Code and basic circuit symbols as these are used in the practicals. From 1-Jan-2004 the Advanced Exam replaced the C&G RAE. Passing this gives you a Full Licence (upto 400W and other privileges). It is necessary to have passed both Foundation and Intermediate levels prior to signing up for this. CARS offer a number of options for Advanced exams, which are held on Thursday evenings at Danbury Village Hall. CARS offer shorter Prep/Revision Classes and Exam-only sessions for those who have already studied at home/elsewhere and have their own course books (aka fast-track courses) - costs for these are between £45 (Exam-only) and £65 (Revision course). Our July and December slots are aligned with the Bath Distance Learning course which is highly recommended. If you need additional revision slots/mentoring do contact us. NB: If you need an Advance Exam, the RSGB require it to be booked and paid for at least four weeks beforehand. Those interested should contact our Training Manager with details of their Intermediate callsign and exam pass date as well as full name, address, phone & mobile numbers and email address. Note: The above assume you have already have signed-off practicals if its a Foundation or Intermediate exam. LEARN MORSE IN 2019! - Morse classes start again at Danbury Village Hall at 7pm on Thursday, 17th January, 2019. If you are a complete beginner Danbury is the best place, you will have your own "Elmer" to instruct and guide you. If you just want to refresh your morse skills Danbury has a group of enthusiasts who will be pleased to help. If you just want a pleasurable evening with CW friends just come and join us for a fun evening whenever it suits you. Morse Code (CW) enables DX working at low power levels. Want to be proficient at Morse ? First Steps: What is Amateur Radio?